"What time is it when an elephant sits on a fence?" Mrs. Thornton asks as she begins a reading lesson with her third-grade class. The class laughs and responds in unison, "Time to fix the fence." "What makes that riddle funny?" Mrs. Thornton asks. The students discuss the image of a big elephant climbing up onto a fence and the multiple meanings of the word time as the reasons that the riddle is funny. "Today you will read an expository passage and learn more about elephants. Let's see what you know about elephants." Mrs. Thornton asks a series of questions: How tall are elephants? How much do they weigh? Are there different kinds of elephants? What do elephants eat? How do they use their trunks? The students jot down their answers to these questions. Mrs. Thornton writes a word on the board and says, "This is the word versatile. It comes from two Latin word parts — vert (vertere, to turn) and ile (having to do with) — and means can be turned or used in different ways." She writes the word parts and the definition on the board under the word versatile and circles the information. "What words do you know that mean the same or almost the same as versatile?" The students respond with useful, flexible, and handy. "What words mean the opposite?" The students respond with inflexible, limited, and restricted. Mrs. Thornton webs the students' responses on the board. The synonyms are webbed to the left of the definition, and the antonyms are webbed to the right. "In the passage you will read, the word versatile is used as an adjective. An adjective describes a noun. What are nouns that could be described as versatile?" Mrs. Thornton asks. The students respond with a tool, a person, and a jacket. "What might be described as versatile in a passage about elephants?" The students respond with the elephant's trunk. "Let's use the word versatile in a sentence." The students respond, "An elephant has a versatile trunk." All the students' responses are added to the web. "Now it is time to read the passage. As you read, think about the answers to the questions I asked you earlier. I want to hear you thinking as you read. If you were right about something, let me hear you softly say 'yes.' If you need to correct information, let me hear you softly say 'oops.' If you learn something new, let me hear you softly say 'wow' or 'aha,'" says Mrs. Thornton. (Carreker, 2004). The students begin reading the passage silently. Their interaction with the passage becomes instantly apparent as the students' subvocalized connections, corrections, and collections fill the room. When the students finish reading the passage, Mrs. Thornton asks them to identify the important elements of the expository passage they have just read: the main idea, the supporting ideas, and the details. She writes the elements on a graphic organizer on the overhead projector. The students then construct a summary paragraph, with Mrs. Thornton serving as the scribe and writing the paragraph on the overhead. Mrs. Thornton reminds the students that the summary paragraph must have one quarter the number of words of the passage, so they must decide what information is the most important. When the paragraph is complete, the students read the paragraph and answer a few questions, both orally and in written form. The reading lesson in Mrs. Thornton's class illustrates lessons that were part of a five-week intervention study. The study was designed to determine the effectiveness of systematic direct instruction of metacognitive strategies on comprehension and vocabulary development, which will be discussed in this article. Reading comprehension is a multifaceted process (Adams, 1990). For students to adequately comprehend text, they will need an awareness of print, which can be obtained through multiple channels to facilitate word recognition. Carlisle and Rice (2002) found that the lack of phonological sensitivity did impede reading, but other factors came into play as students progressed through the different levels of reading comprehension. These factors are evident because children who receive phonological awareness training do not necessarily become fluent readers (Scarborough, 2001). In addition to decoding skills, students need vocabulary knowledge and metacognitive skills so they can monitor their understanding and reflect on what has been read. Competent readers learn these components simultaneously and fluently. In addition, if either component is inadequate, comprehension can be impeded. Some teachers may assume that reading comprehension will develop naturally without any direct teaching of comprehension (Denton & Fletcher, 2003). This line of reasoning places reading in the same developmental progression as oral language development. Children are able to acquire speech without formal instruction if given enough exposure to it. This led many researchers to believe that given enough exposure to print the child would experience the same developmental pattern. Nevertheless, research has proven this line of reasoning to be faulty (Gough & Hillinger, 1980; Wren, 2002). Humans have been communicating through speech for thousands of years. We have used written communication for the masses for only several hundred years. This skill must be taught through formal education. Research evidence gathered over the last 20 years has shown that children need to learn phonological awareness, phonemic awareness, awareness of print, phonics, and fluency. Instruction of these components enables the child to decode unknown words. These components are the basics or prerequisites needed for reading. Learning to decode is a means to an end, and that end is to read and understand written communication created by others and to be able to write in order to communicate. In other words, reading instruction does not end when students can decode the words. They continue to need instruction that will support their understanding of what they are reading. Although metacognition has become a buzz word in education, it seems that the meaning is often assumed. For clarification purposes this study adopted the definition offered by Kuhn (2000). Kuhn defined metacognition as, "Enhancing (a) metacognitive awareness of what one believes and how one knows and (b) metastrategic control in application of the strategies that process new information" (p. 178). This awareness is developmental and lies on a continuum. Proficient readers use one or more metacognitive strategies to comprehend text. The use of such strategies has developed over time as the reader learns which ones are best suited to aid in comprehension (Pressley, Wharton-McDonald, Mistretta-Hampston, & Echevarria, 1998). Pressley et al. (1998) found that students' comprehension was not enhanced by merely reading more text. If the students used even one of the strategies, for example summarizing, comprehension was improved. If students were given a host of strategies that they could apply at their discretion, comprehension was greatly improved. Research evidence will do education little good if findings are not applied in classroom settings. Even though metacognitive strategies are considered to be of value for adequate text comprehension, classroom teachers often fail to teach this process. Pressley et al. (1998) conducted a qualitative research study on 10 fourth- and fifth-grade classrooms to investigate instructional practice regarding reading, writing, motivation, classroom management, use of materials, and instructional goals. Teachers were interviewed twice during a yearlong period and monthly observations were carried out. They found that direct teaching of comprehension strategies was minimal. At the same time, the teachers professed to teach reading comprehension strategies. Some of the teachers did mention strategy use but did so in a passive manner without actively and directly teaching the strategies. Some teachers felt like they taught the use of the strategies by using summarizing, predicting, and imagery as an assessment tool. This, however, does not validate that students used the strategies during the act of reading text. While some teachers used these more often, most of the teachers did not believe it necessary to see that the students were aware of the use of such strategies. Palincsar and Brown (1984) identified four activities they believe aid in comprehension-fostering and comprehension-monitoring activities. These activities are self-questioning, summarizing, clarifying, and predicting. The technique used by Palincsar and Brown was termed reciprocal teaching (RT). While research has shown that the strategies employed in RT are effective (Rosenshine & Meister, 1994), the strategy tends to be too time consuming for teachers to implement, and modifications are often necessary for implementation (Marks et al., 1993). 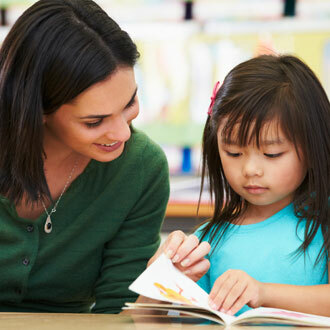 Vocabulary acquisition has also been found to be a high predictor of reading comprehension. Biemiller and Slonim (2001) reported that students who were behind in vocabulary knowledge in third grade would remain behind throughout the duration of their schooling. Biemiller and Slonim found that students in grade 2 in the highest quartile of vocabulary knowledge acquired an average of 7,100 root words and students in the lowest quartile an average of 3,000 root words. 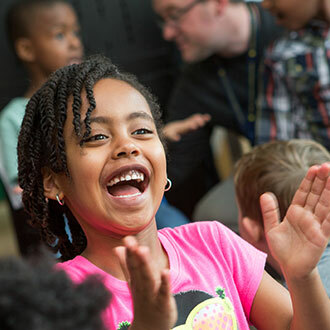 The authors noted that the lower quartile children could be brought up to grade level, but to do so would take extensive vocabulary instruction and most schools do not promote such programs. The National Reading Panel (National Institute of Child Health and Human Development, 2000), in summarizing much of the evidence cited above, concluded that there are eight effective or promising strategies: comprehension monitoring, cooperative learning, graphic and semantic organizers, story structure, question answering, question generation, summarization, and multiple-strategy use. The final strategy is the basis for the five-week study. The purpose of the study was to determine the effectiveness of systematic direct instruction of multiple metacognitive strategies designed to assist students in comprehending text. 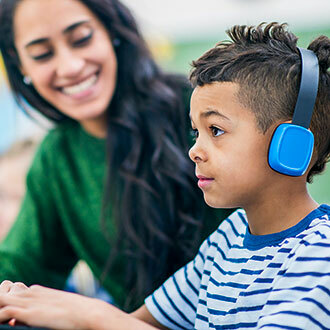 Specifically, the reading comprehension and vocabulary achievement of 119 third-grade students was investigated to determine whether instruction that incorporated metacognitive strategies led to an increase in the reading comprehension of expository text. In addition, the investigation was also designed to determine the impact of the metacognitive strategies on vocabulary. 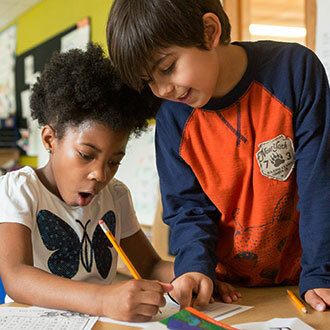 This research project took place in six third-grade classrooms in two urban elementary schools in the southwest United States that were deemed demographically and academically equal by the school district's research department. One school was selected as the intervention school and the other school was the comparison school. The students in both schools were pretested before the five-week study and posttested at the end of the study. The pre- and posttesting battery involved multiple instruments that were intended to measure academic skill levels of the students both before and after the intervention. Students were pretested using the Word Attack, Letter-Word Identification, and Spelling subtests of the 2001 Woodcock Johnson III (WJIII) Test of Achievement. These three subtests were used to ensure that the groups were of comparable decoding ability. The two tests that were used to measure the students' progress in reading comprehension and vocabulary were the 2000 Gray Silent Reading Test, form A and B, and a criterion vocabulary test. Information on all the testing is listed. Word Attack (Forms A and B). Each part of the WJIII Word Attack test begins with four letters, and the tester asks the student to find the letter that matches a sound. For example, the tester says the sound /p/ and the student matches the letter with the sound. Second, the tester shows the participant two letters and the participant gives the most common sound for the letters presented. Next the participant is shown two pseudowords such as ib, and the student is to pronounce the word as if it were real. Correct pronunciations for difficult words are provided for the tester. Instructions for the test are given only once. Each Word Attack test has 32 items. Letter-Word Identification (Forms A and B). This WJIII subtest consists of participants identifying letters and moves to identifying real words. Words begin with monosyllabic regular words and proceeds to multisyllabic irregular words. Each subtest has 76 items. Spelling (Forms A and B). The Spelling subtest of the WJIII begins with participants copying lines and squiggles and later copying letters. Next participants are asked to write uppercase and lowercase letters as given by the tester. 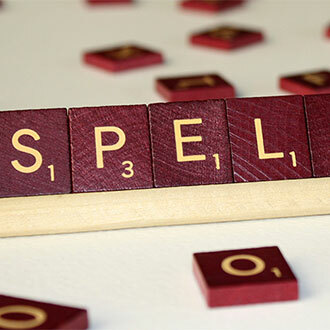 Finally, participants are asked to spell real words. The list of words moves from monosyllabic regular words to multisyllabic irregular words. There are 59 items in this subtest. Gray Silent Reading Test (Forms A and B). This comprehension test uses a multiple-choice format to assess reading comprehension. Children read a set number of passages according to grade level and answer questions at the end of the passage. Grade 3 was required to read 7 passages that moved from shorter to longer. There was no time constraint for this test. Criterion Vocabulary Test. The vocabulary test was a criterion-referenced test and was constructed using words presented in the 25 lessons (Carreker, 2004). The test was a multiple-choice format where a target word was given, and students had to pick a synonym from four options. There were 40 items on both the pretest and posttest. The words were the same for both tests, but were not presented in the same order. The students in both schools received 30 minutes of reading comprehension instruction a day for 25 days. The passages for the lessons were from a commercially available reading comprehension curriculum, Six-Way Paragraphs, Middle Level (Pauk, 2000). The series, Six-Way Paragraphs, contains three leveled books-Introductory, Middle, and Advanced-that range in readability from 1st grade to 12th grade. The study chose the Middle Level for the richer content and the readability that was most appropriate for the students. All the passages were expository passages and contained 300 to 400 words. The lessons in the intervention school were supplemented with the direct instruction of metacognitive strategies (Carreker, 2004). Introduction. The teacher "hooked" or captured the students' attention by asking a question, showing a picture, stating facts about a topic, or by telling a riddle or joke. The teacher stated the purpose of the lesson and activated the students' background knowledge of the lesson's topic by asking a series of questions. The students jotted down their answers in a few words. Vocabulary. The teacher introduced one or two vocabulary words. Most words were added to semantic webs as demonstrated in Mrs. Thornton's lesson. The semantic web connects the part of speech, synonyms, antonyms, and other related words to a new vocabulary word (see Figure 1). Any words with multiple meanings were webbed on a multiple meaning web that delineated at least six different meanings of a word. Mrs. Thornton's class could have also webbed the word trunk (see Figure 2). Reading the story. The students read the story. Before reading, the students reviewed their answers to the questions that the teacher had asked at the beginning of the lesson. The students were reminded to think out loud while they read, as demonstrated in Mrs. Thornton's lesson. During the study, to control for individual differences in decoding, the teacher read the passages to the students the first week. The students read the passages chorally the second and third weeks. Then the students read the passages silently during the fourth and fifth weeks. Summary. The teacher asked students to identify the main idea, the supporting ideas, and the details in the passage. They were written on the board or on an overhead in the form of a "card pyramid" (see Figure 3). The main idea was the top card. The supporting ideas were placed under the main idea. The details were placed under the supporting ideas. After the pyramid was completed, the teacher numbered the cards. The main idea was numbered 1. The first supporting detail was numbered 2, and the details for that supporting idea were numbered 3. The second supporting idea was number 4, with the details numbered 5. The next supporting idea was numbered 6, with the details numbered as 7. The final supporting idea was numbered 8, with the details numbered 9. The students took turns orally summarizing the passage, using the numbered elements in order. The students then constructed a written summary that contained one quarter of the number of words in the passage. Initially, the teacher was the scribe. Eventually, students wrote their own summaries. Questions. The teacher asked questions and the students answered orally. Questions were both simple questions, where the answers were found in the passage (e.g., How much can an elephant weigh? ), and complex, where students had to tap into their background knowledge (e.g., Could an elephant live in the desert?). The students then answered the six questions from the Six-Way Paragraphs, Middle Level curriculum, which included finding the main idea, drawing conclusions, finding supporting details, clarifying details, and defining vocabulary in context. The lesson plan for the comparison group began with the same introduction activities. The same vocabulary words were introduced; however, vocabulary webs were not used. The students copied the definitions off the board and wrote sentences that illustrated the meaning of the words. The students were not encouraged to think out loud as they read. They did not identify the elements of the expository passage they read or write a summary. They responded to several questions orally from the teacher. Then they copied two or three questions from the board and wrote the answers to those questions. The students also answered the six questions from the Six-Way Paragraphs curriculum. In order to show efficacy of the intervention, students' pre- and posttest scores on a criterion-referenced vocabulary test and a standardized reading comprehension test were analyzed to see if there was a statistically significant difference between the two groups. Means and standard deviations for pre- and posttest academic scores can be found in Table 1. The intervention group improved significantly over the comparison group in vocabulary, F (1, 117) = 22.521, p < .001, with an effect size of .161, and in reading comprehension, F (1,117) = 4.28, p < .041, with an effect size of .041. While the scores were statistically significant, to better understand the academic gain of the experimental group, a Binomial Effect Size Display (BESD; Rosenthal, Rosnow, & Rubin, 2000) was computed. This index reports the effect size in terms of change attributed to the intervention. The BESD showed the intervention group with a 40% difference in gains in vocabulary between the two groups and a 20% difference in gains in reading comprehension. Given the duration of the study (five weeks) gains attributed to the intervention are noteworthy. This study provides further evidence to support metacognitive instruction. Students in the intervention school whose vocabulary instruction required generating synonyms, antonyms, and other related words saw greater increase on the vocabulary measure (40%) than students who wrote the vocabulary word and used it in a sentence. It appears that constructing synonyms, antonyms, and other related words creates a deeper understanding of a word, which in turn heightens the ability to recall meaning. The use of vocabulary webs created a more visual representation of the word's meaning and conceptual understanding (Beck & McKeown, 1991) over the traditional use of memorizing a definition and using the word in a sentence. Comprehension gains were also found to be greater in the intervention school (20%) compared to the comparison school. This appears to be the consequences of the vocabulary instruction and of the use of metacognitive comprehension strategies that were used in the intervention school. Both groups read the same expository text, answered many of the same questions, and were engaged in the same introductory activities, which included metacognitive strategies such as understanding the purpose for reading and activating background knowledge. However, the intervention school students incorporated more metacognitive strategies during and after their reading. These students were encouraged to think out loud while they read, softly exclaiming "yes," "oops," or "wow." This strategy actively engaged the students in the reading process. After reading the passage, they were instructed to identify the main idea, the supporting ideas, and the details. These elements were written on the overhead projector in the form of a card pyramid. The construction of the pyramid gave them a visual representation of the structure of expository text and helped to reinforce the key elements of this kind of text so that the more the students read expository text, the more aware they became of what to think about while they were reading. The writing of the summary paragraph was another important metacognitive strategy. The students had to capture the essence of what they had read. They had to review all the information in the passage. Because they could use only a limited number of words in their paragraphs, they had to carefully evaluate the information: What was important and what was superfluous? They had to organize their thoughts in writing in as few words as possible. The instructor served as the scribe until the students were able to write a summary on their own. What amazes me about this kind of comprehension instruction is that it is easy to implement and is great for all my students. My good readers love the challenge of writing the summary paragraphs in as few words as possible. Just yesterday one of my students who consistently uses simple sentences or run-on sentences in his writing proudly produced a summary paragraph with one quarter the number of words in the passage. What was even better than the succinct summary was that he was aware of and verbalized how he had to combine sentences and eliminate unnecessary words in order to get a low word count with all the important information intact. All the students, especially those who have comprehension problems, now have tools that can help them understand what they read. I love the way students are asked to make connections to what they know. 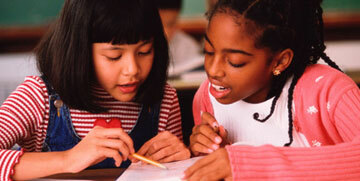 One day, I was working with a group of students with comprehension and language problems. We were reading a passage, and we webbed the word vain using a semantic web. The students were having difficulty generating synonyms and antonyms, but I offered words and scenarios to try to help the students make the connections to words and knowledge in their oral language and background knowledge. Imagine my surprise when one of the students finally said, "Oh, this is like Narcissus when he stared at himself in the river." She connected this new word to something she already knew. Now, that student and all the other students in the group have the word narcissistic as a synonym for vain. The challenge is always what to do with poor decoders. I do like the students to work in small groups or pairs. When the students are working in pairs, I group a strong reader with a poorer reader. The stronger reader can read the passage, but the rest of the lesson they can do together. We spend about 30 minutes a day on the lessons. The students can't wait to see what I use for my hook each day. The lessons take me some time to prepare, but it is worth the effort when I see the students actively engaged in the lesson and using the strategies we have learned. It was found that the metacognitive reading comprehension instruction significantly improved the academic achievement of third-grade students in the domains of reading comprehension and vocabulary over the other instruction that was offered to the students in the comparison school. The intensity of the study and the systematic instruction of metacognitive strategies led to positive effects for understanding written text, which is the reason for reading. Carreker is the director of programs at Neuhaus Education Center. Thornhill is a certified academic language therapist, and Joshi teaches reading at Texas A&M University in College Station. Adams. M.J. (1990). Beginning to read: Thinking and learning about print. Cambridge, MA: MIT Press. Beck, I.L., & McKeown, M.G. (1991). Conditions of vocabulary acquisition. In R. Barr, M.L. Kamil, P. Mosenthal, & P.D. Pearson (Eds. ), Handbook of reading research (Vol. 2, pp. 789-814). White Plains, NY: Longman. Carlisle, J.F., & Rice, M.S. (2002). 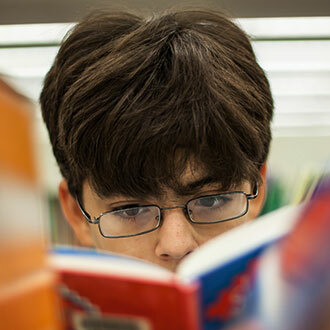 Improving reading comprehension: Research-based principles and practice. Timonium, MD: York Press. Carreker, S. (2004). Developing metacognitive skills: Vocabulary and comprehension. Bellaire, TX: Neuhaus Education Center. Denton, C.A., & Fletcher, J.M. (2003). Scaling reading interventions. In B.R. Foorman (Ed. ), Preventing and remediating reading difficulties: Bringing science to scale (pp. 445-464). Timonium, MD: York Press. Palincsar, A.S., & Brown, A.L. (1984). Reciprocal teaching of comprehension-fostering and comprehension-monitoring activities. Cognition and Instruction, 2, 117-175. Pauk, W. (2000). Six-way paragraphs, middle level. Providence, RI: Jamestown Publishers. Rosenthal, R., Rosnow, R.L., & Rubin, D.B. (2000). Contrasts and effect sizes in behavioral research: A correlational approach. Cambridge, England: Cambridge University Press. Scarborough, H.S. (2001). Connecting early language and literacy to later reading (dis)abilities: Evidence, theory, and practice. In S.B. Neuman & D.K. Dickinson (Eds. ), Handbook of early literacy research (pp. 97-110). New York: Guilford. Wren, S. (2002, December). Ten myths of reading instruction. SEDL Letter, 14(3), 3-8. Boulware-Gooden, R., Carreker, S., Thornhill, A., Joshi, R.M. (2007). Instruction of Metacognitive Strategies Enhances Reading Comprehension and Vocabulary Achievement of Third-Grade Students. The Reading Teacher, 61(1), pp. 70-77. Great study! This study has been very helpful. I found this study to be interesting and helpful. What a great study! This is what I was looking for! Thank you, I am aware of the authors and my study of metacognition is increased and inspired by this easy to access site. Thank you. It's an interesting strategy to enhance reading. Thanks for the article I could incorporate some of the strategies into my lesson plan for reading comprehension for my present study on Effect of MSI on reading comprehension among secondary school students. I could also use the study as review of related literature. Good article, but where are all the other references? Fascinating. I think this is very useful as a plan for constructing lessons for small group remedial work. The connection between the research and practical use is helpful.